Almost perpetually shrouded in clouds, Brazil’s highest mountain Pico da Neblina meaning 'peak of mist', towers 2,995m above the Amazon rainforest. Stretching into dense jungle, the National Park has been closed to visitors since 2003 as a result of failed tourism and mining activities which infringed on the rights of the indigenous Yanomami people. 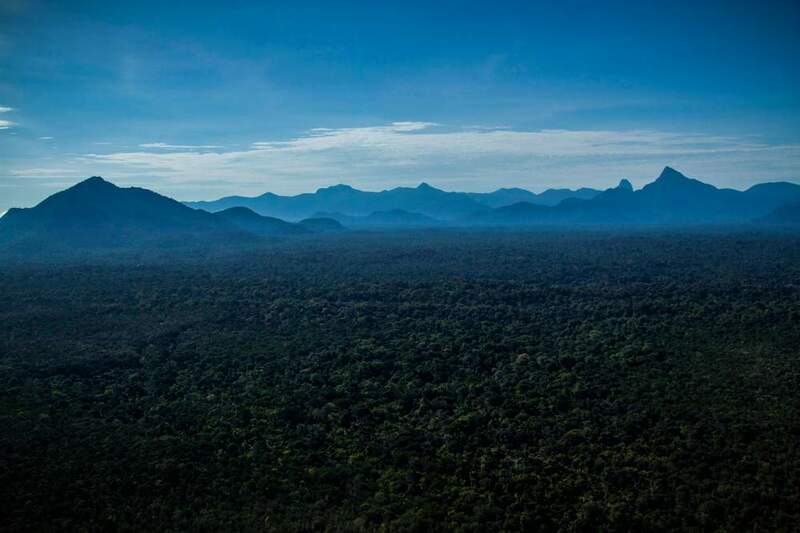 In November 2017, a team of leading Brazilian scientists were granted rare access by indigenous authorities and the army to embark on an expedition to the region. 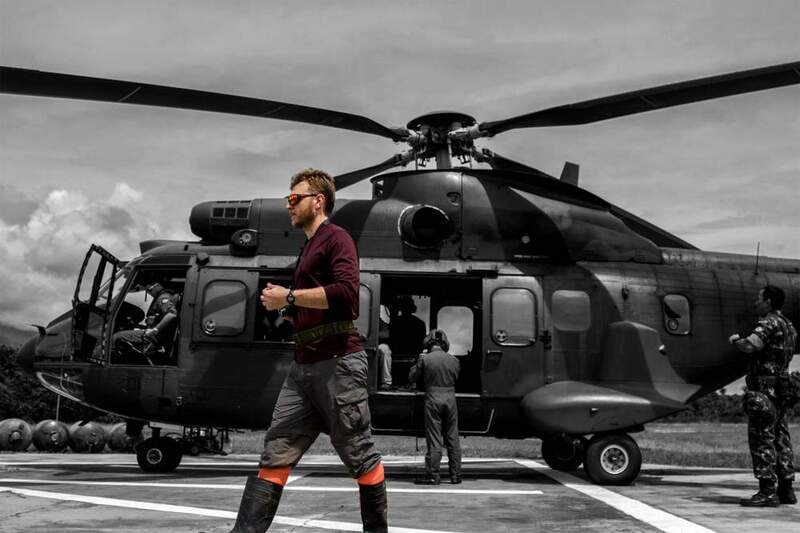 Ground troops and local guides from the Yanomami ethnic group assisted the scientists’ one-month journey to and around the mountain. 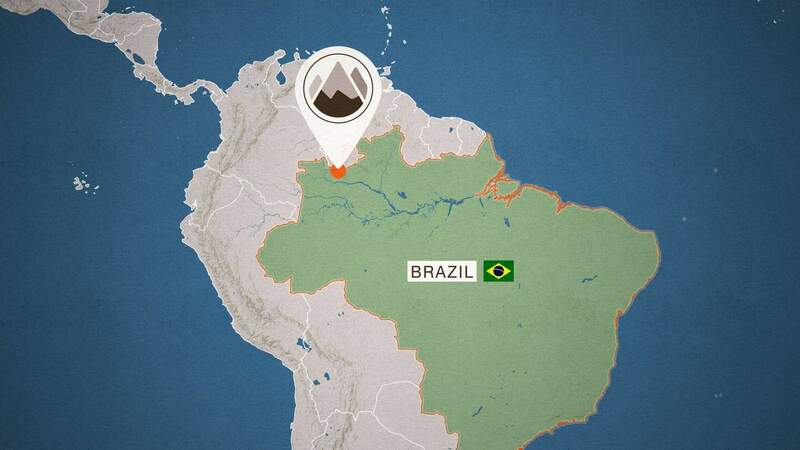 The 'Big-eyed Red' was discovered after the team hiked seven hours from their camp to the summit of the Pico da Neblina. "My team mate Agustin found the first of these little guys on our way to the highest peak, sitting under a rock," says Ivan Prates, a researcher from Smithsonian's National Museum of Natural History. After finding the first, the biologists began flipping other small rocks, finding ten of the species all the way up to the summit’s highest rock. "I found it within the first couple of hours after we arrived at the mountain campsite. It was inside the big tent, where we’d later sleep," explains Prates. "I was carrying a box, helping to set up the tent, when I saw something hopping on the grass. Throwing everything I was carrying to one side, I jumped on it right away - the way we do when we see anything moving!" 'The Chubby Grey' is part of the very large Terrarana family which groups together about a thousand species. "That’s all we know," says Prates. "It’s more or less like saying 'this is a type of bug' when you find an insect. So for a biologist, it doesn’t say much at all." 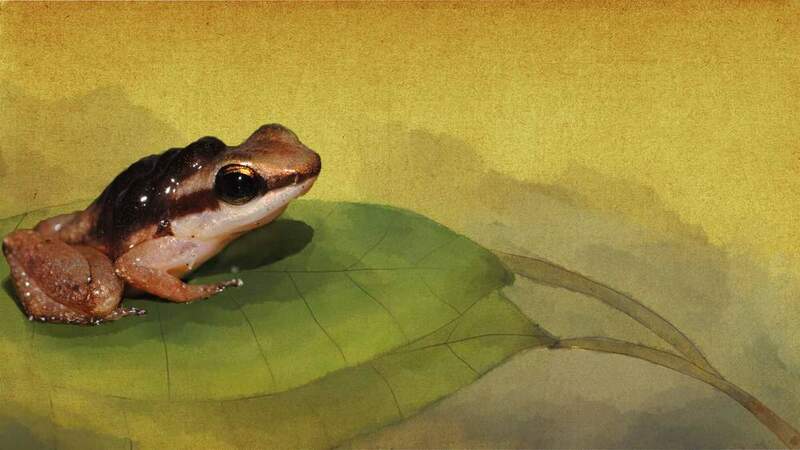 The team is generating DNA data to better place the species in the frog family tree. 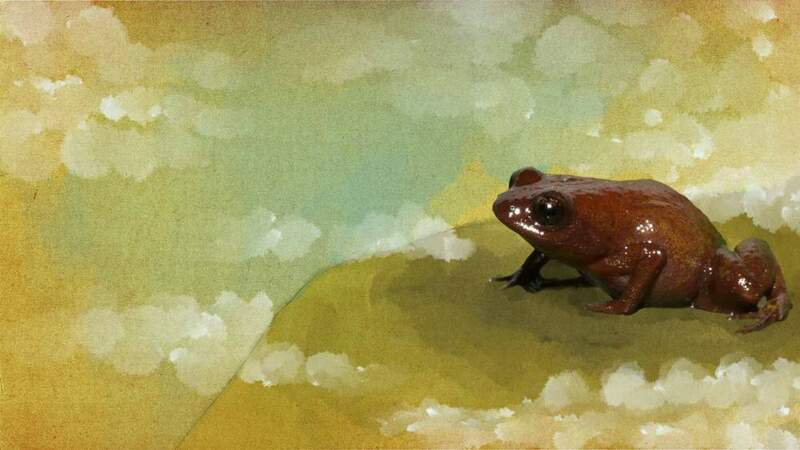 Evolutionary biologist Agustin Camacho spotted the first of this new species at night, 2,000m up the Pico da Neblina. It was sleeping on a small leaf. "We all went nuts when he showed us because we knew what it meant," says Prates. 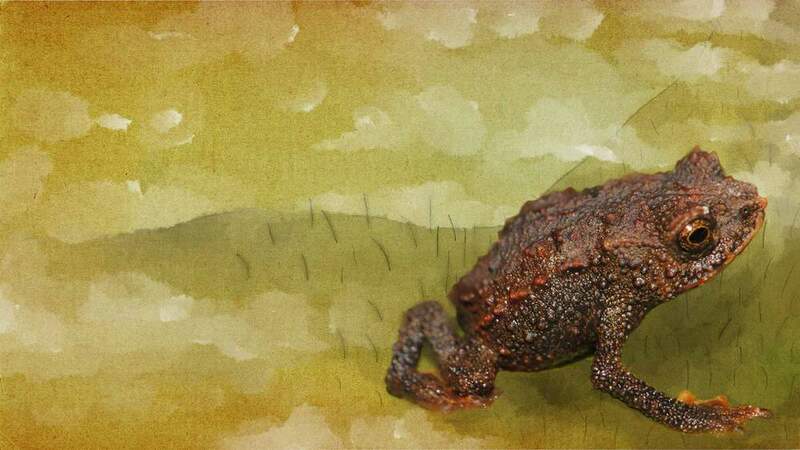 The tiny toad, measuring 35mm, belongs to a group that's restricted to tabletop mountains. Its closest relatives are known to exist in Venezuela, other parts of northern Brazil, and Guyana. "This distribution suggests these distant mountains were connected in the past," says Prates. 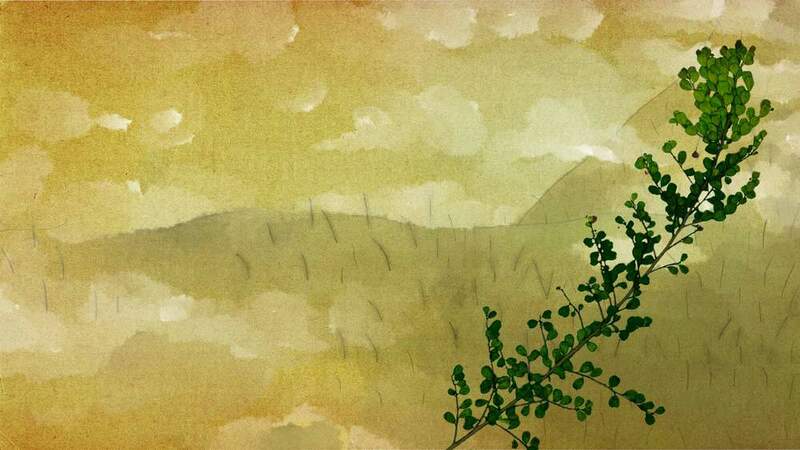 "Some scientists think a massive plateau existed in this region but because it was severely eroded, all that remained are these isolated mountains." 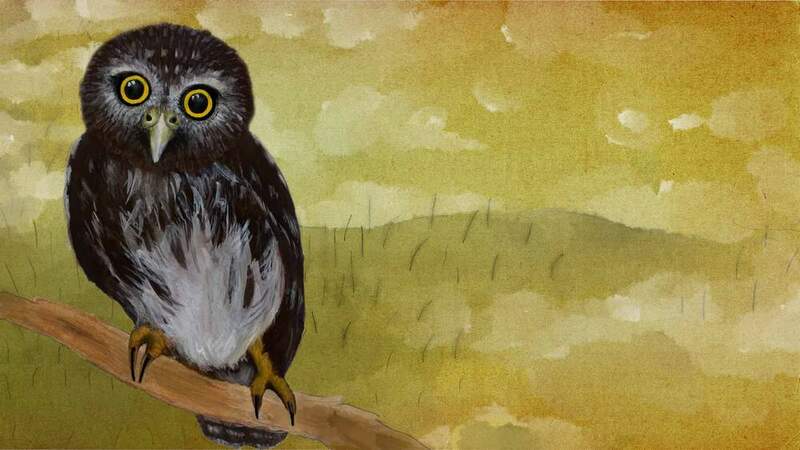 Professor Luis Fabio Silveira, an ornithologist at the University of Sao Paulo, spotted this new type of Pygmy owl singing alone 1.5m up a small tree on Pico da Neblina. He says it was an unexpected find because its close relatives usually dwell in the canopy of much larger trees. Little has been established about its habitat and biology. "After a brief moment of excitement I had to work quickly to get an excellent record of the voice and then try to collect the bird," says Silveira. 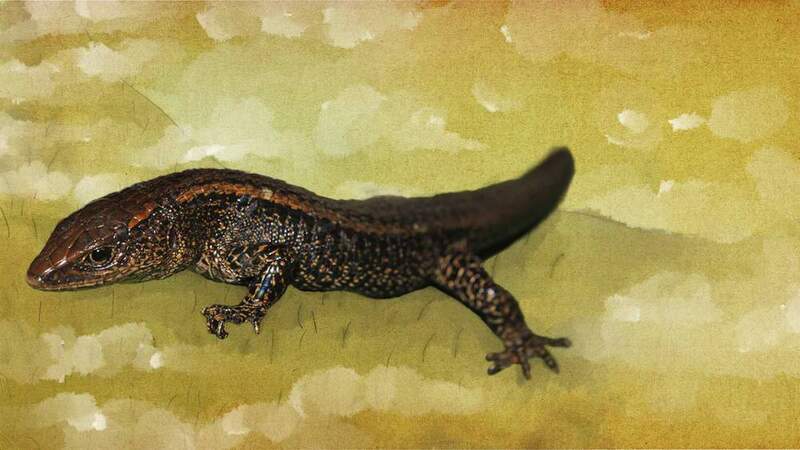 Discovered on the Pico da Neblina, Prates describes this 6cm-lizard as having "the coolest belly and sides, with black and white spots which make it look like the stars at night. We went crazy when we checked our pitfall [bucket] trap and saw it because we knew what it meant." Its closest-known relatives within the Riolama group only live on mountains in this part of South America. Prates says the discovery helps embolden a theory that an extensive plateau existed up until 10 million years ago. 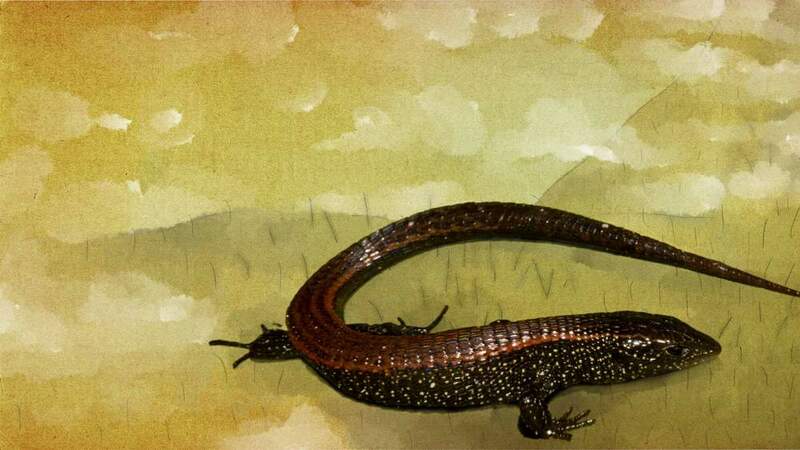 Double the size of 'The Night Sky' lizard, 'The Brown Giant' - also part of the Riolama family - was also found on the mountain, but this time in the scientists' makeshift kitchen by an army cook. Lizards are largely known to break off their tails as a defence mechanism against predators like birds that latch onto their tail. 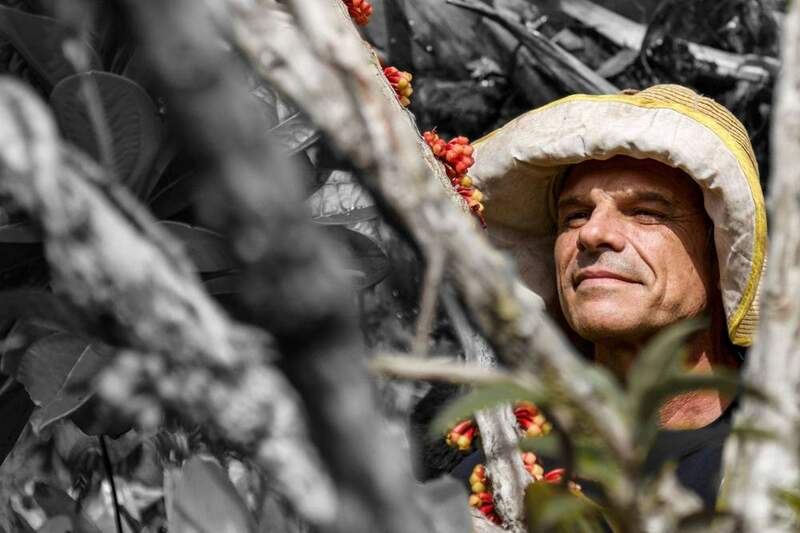 Professor Renato de Mello-Silva discovered this shrub on the Pico da Neblina. It's 2m high and abundant in small leaves. Mello-Silva says the plant's 'dirty, deep-green leaves' stand out from the mountain's forest which is largely made up of 'young, clean, light-green leaves'. "We found this one in the lowland forests around the Pico da Neblina foothills in dense, hot-humid jungle," says Prates. This frog belongs to the Allobates group that's only active during the day. The tiny 'Chirping Frog' is set apart from its close relatives by a distinctly odd colouration on its legs. It's a type of 'nurse frog', meaning males carry eggs on their back before releasing them onto the forest floor, rather than laying them in water. 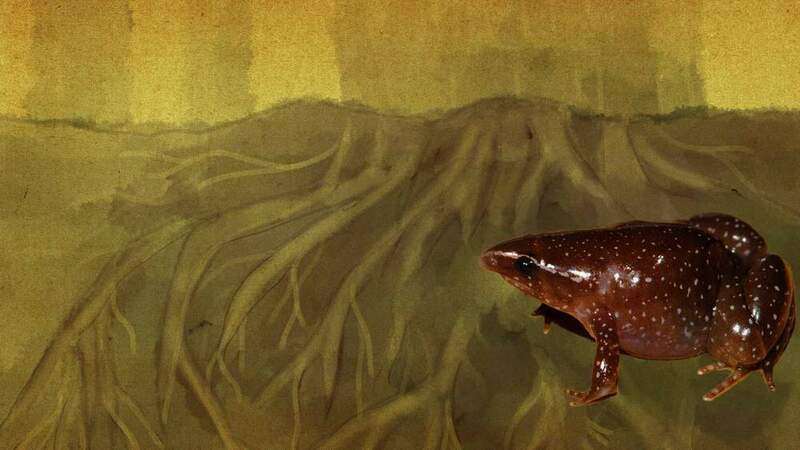 Once the eggs hatch, Prates says the tadpoles crawl "back onto dad’s back" where he then searches for "a really good puddle, away from predators, for his babies to develop". 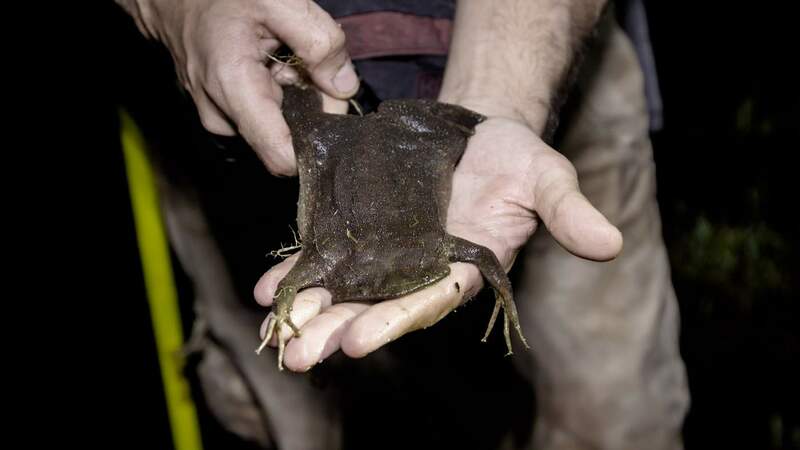 "This frog is really hard to find because they burrow deep into the dark Amazonian soil among entangled roots," explains Prates. The scientists discovered this new type of Synapturanus or 'disc frog' as they’re commonly called, by placing their ears to the ground and recording its unique call. At only 2.5cm in length, its most distinct feature is its chubby legs, wide lower-body, and pointy nose which are all believed to help it dig head-first into the forest floor. 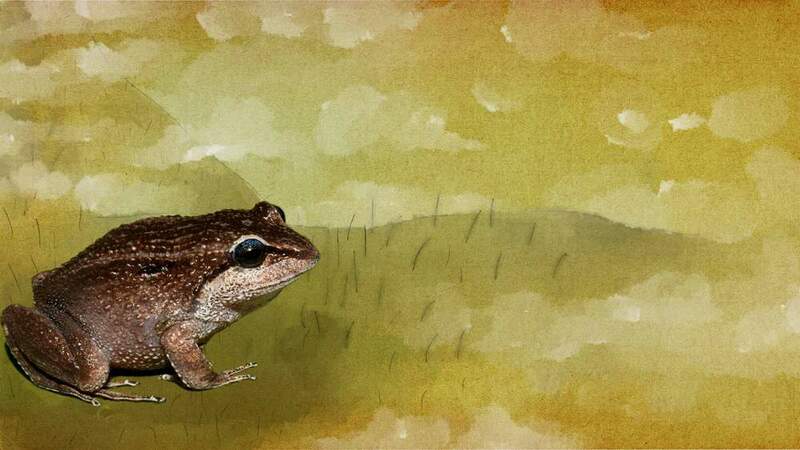 Prates and his colleagues found two 'Plump Digger' frogs in buckets they'd dug into the ground. "When you start digging for them you never get them for some reason," says Prates. "Are they deeper than their noise suggests? Who knows." Professor Miguel Trefaut Rodrigues led the team of 12 scientists from the University of Sao Paulo covering reptiles, amphibians, birds, small mammals, and plants. 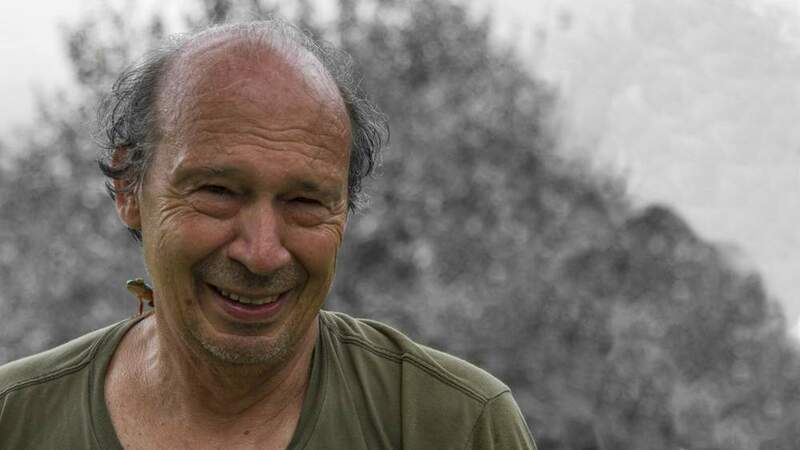 He's considered to be South America’s leading herpetologist - a specialist in frogs, lizards, and snakes. 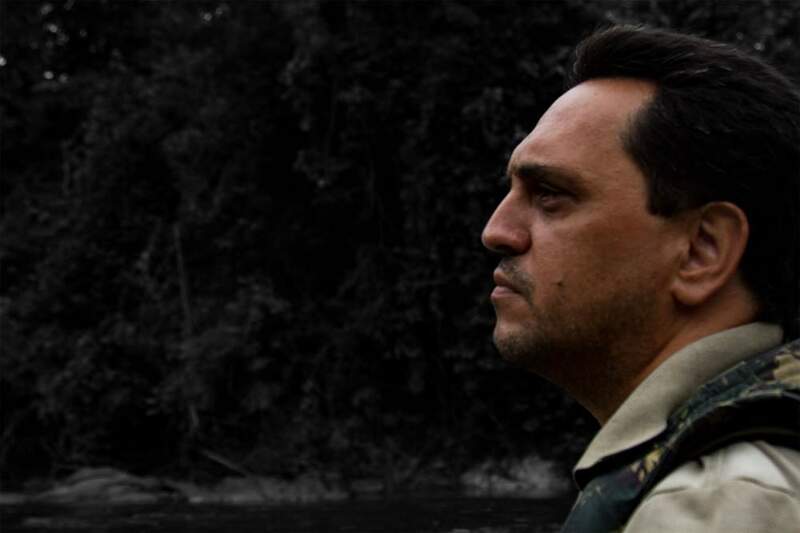 He's also one of the most active, leading several expeditions every year in the Amazon rainforest. Rodrigues has found at least 80 new species throughout his career and has created one of the world’s largest genetic collections of wild organisms. 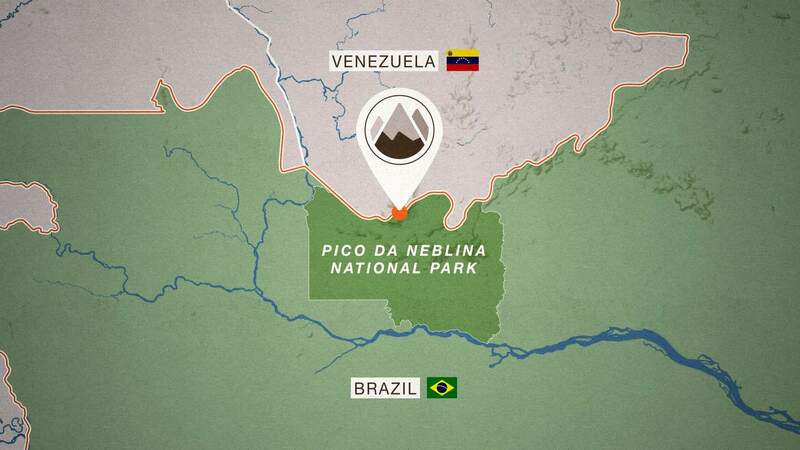 He describes the team’s visit to the Pico da Neblina as "one of the most important parts of the Amazon to get genetic material". 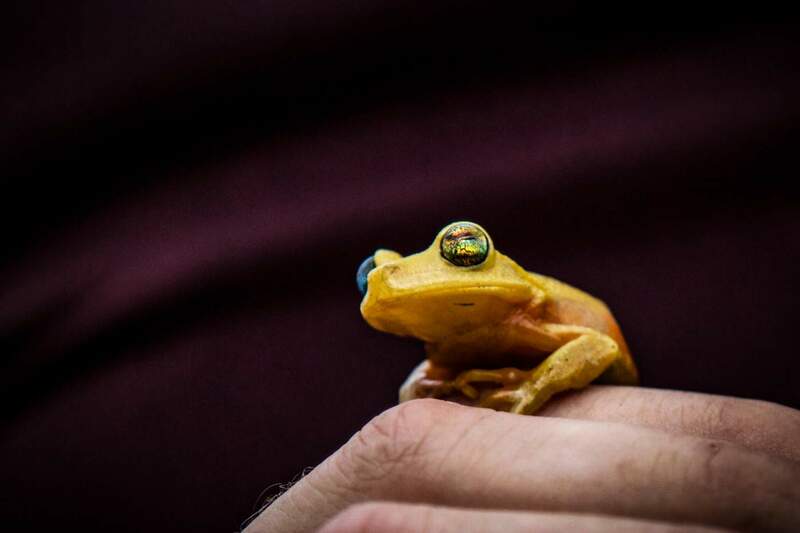 This opal-eyed frog was established as a new species in 2013. The team says the opalescence in its eyes may act as a form of sun protection - much like skiing goggles. To ward off predators it emits a strong odour. A common Amazonian snake, this difficult-to-spot boa feeds mostly on birds - detecting its prey with thermal sensors around its mouth. Yanomami guides saw the one pictured while it was wrapped around a tree branch over a steep cliff. With its flat body, large head, and tiny eyes, the Pipa's appearance makes it hard to find. It has a fascinating reproductive cycle. Females carry eggs on their back and grow a layer of skin over the top to protect them until they're born.